draw things as they really look? Over a period of 20 years as an award winning Master Art Teacher Paul Germain has developed powerful teaching techniques that have helped thousands of beginning students with "no drawing ability" to draw like professionals. Now, it is your turn to experience the same miracle. This course of private instruction has been developed for all carvers. one carver at a time. ...in 3 Days (20 hours) of Private Instruction! Note: To maximize your time during instructional hours, you will also be provided approximately 10 additional hours of drawing/design oriented work that is to be completed at your hotel. 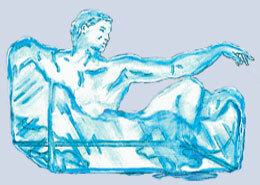 The Drawing and 3-D Visualization Program provides one-to-one, private instruction for any level of carver. It providesessential drawing and three-dimensional visualization skills needed for handcarved custom ice sculptures. "This has been one of the biggest learning experiences I've ever had. I've realized, thanks to Mr. Paul G, there's an artist in everyone and not to be afraid of being creative. There's no doubt in my my that I'm leaving Fresno being by far a better carver, can't wait to go back to my country and put into practice all the techniques I've learned here and get out there showing people my art work. I'm really thankful to Mr. Paul and his beautiful wife for receiving me in their home and bringing out the artist in me. Muchas Gracis"
AICD's comprehensive Drawing and 3-D Visualization Class features two days (16 hours) of intensive drawing and 3-D sculpting instruction and 10 hours of offsite drawing and design oriented homework at your hotel. "Paul is just the best to learn from. Wow!! 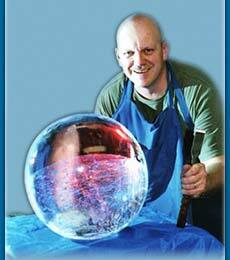 So much to know about ice carving, and you will not find a better teacher than Paul Germain. He drives you to think like an artist, and when you are done you are an artist. AICD is the place to go!! I will take what I learned with me for the rest of my Ice Career. The word will be spread - AICD is the place to be. Thank you!" Our Drawing and 3-D Visualization Program is designed to teach essential drawing and three-dimensional visualization skills needed by professional chefs, culinary students, and ice carvers. Comprehensive drawing instruction is condensed into a one day program. Our unique program includes hands-on training in many of the secret drawing and 3-D visualization techniques developed throughout Paul Germain's career as an award winning art educator. AICD is able to adapt training hours to fit the individual needs of the student's schedule. for NICA and ACF certification programs, which are independent of AICD. branches of the Federal Government, including the Department of Defense.